I am pleased to tell you that the Hurdy-Dragon is already here with me in Buenos Aires. I am very happy. I want to thank you again for the work and affection you have shared with me! "It was great to meet both of you this afternoon and see your beautiful home. Thanks for creating such a beautiful instrument for me! Hours after getting home from my trip, nothing has been unpacked except the hurdy gurdy. I've been jamming with it and getting into an ancient part of myself with it's own sympathetic vibration. Thanks for getting me started on what is certain to be a long and satisfying musical romance." Hi, I just wanted to let you know that the instrument you made for me is absolutely wonderful. It is a joy to play, beautiful to look at and has provided me with many hours of enjoyment. The tone is wonderful and I am completely satisfied. I would not hesitate to purchase another Hurdy Gurdy from you... thanks for the excellent service and for producing a product which exceeded my expectations by orders of magnatude. Keep up the great work! 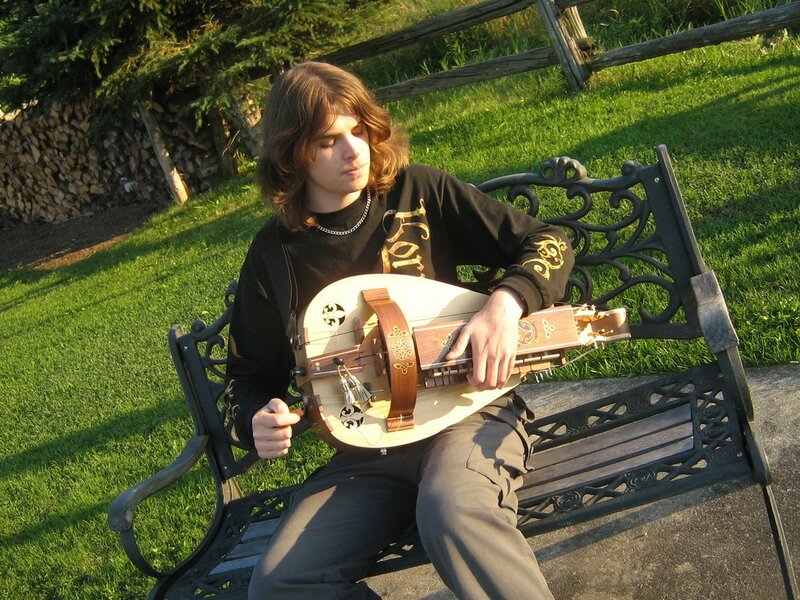 "I wanted to take a few moments to let you know how much I enjoy my Hurdy-Gurdy, I am getting it really fast. I'll need more time to learn some complex rhythmics with the dog, but my fingers are getting used to the way the keys works. It is very easy and fun to jam and improvise on the instrument. We may also be incorporating the hurdy-gurdy in my band's compositions soon!" "Thank you so much! My HG arrived today and it is so BEAUTIFUL! If you ever want to do a testimonial section on your website I would be happy to give one." I’ve enjoyed this Hurdy Gurdy more than I had expected. I haven’t played a musical instrument for 49 years. I had forgotten how to read music. The book, videos and tips through email have made it possible to learn to play. It may be hard to find experienced teachers willing to teach how to play the Hurdy Gurdy but you can find a teacher that is willing to teach how to read music, musical theory and how to put music into a key that fits your Hurdy. 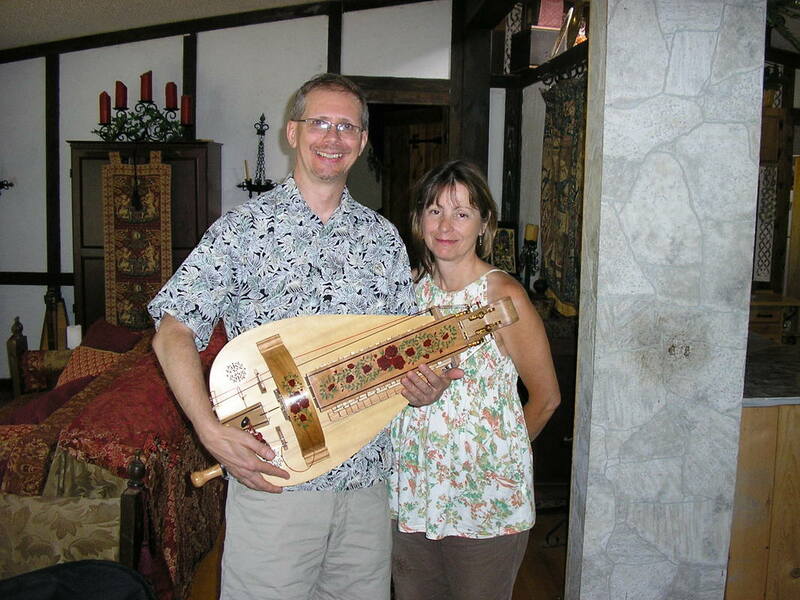 The maintenance and care of the Hurdy is excellently explained in the book and online videos. I’ve owned it less than three months and am over half way through the book and transposing other music to play. If I can do it so can you and I’ll bet you would have as much fun as I am having.